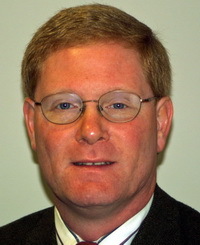 R. Matthew Brach, PhD, PE is a Senior Managing Consultant with Engineering Systems, Inc. in their Aurora, IL office. His principal areas of professional activity include vehicle impact analysis, vehicle dynamics, and automotive accident reconstruction. He has a PhD in Mechanical Engineering from Michigan State University, an MS in Mechanical Engineering from the University of Illinois at Chicago, and a BS in Electrical Engineering from the University of Notre Dame. He served as an adjunct professor of Mechanical Engineering at Lawrence Technological University. He has held engineering positions with the Ford Motor Company, Exponent and the IIT Research Institute. He is a member of the Society of Automotive Engineers (SAE), the American Society of Mechanical Engineers (ASME) and the Institute of Electrical and Electronics Engineers (IEEE). He is the author of numerous technical papers covering topics that include nonlinear vibrations, automotive engine mount design, tire forces and vehicular accident reconstruction. He is the coauthor of the textbook Vehicle Accident Analysis and Reconstruction Methods published by SAE. 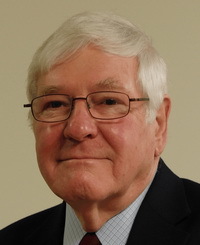 Raymond M. Brach, PhD, PE, is a consultant in the field of accident reconstruction and a professor emeritus of the Department of Aerospace and Mechanical Engineering, University of Notre Dame. He is a fellow member of SAE International. He received a PhD in Engineering Mechanics from the University of Wisconsin, Madison, and a BS and MS in Mechanical Engineering from Illinois Institute of Technology, Chicago. Specialized areas of teaching and research include mechanical design, mechanics, vibrations, acoustics, applications of statistics and quality control, vehicle dynamics, accident reconstruction, and microparticle dynamics.